Nokia 8 is an upcoming smartphone which is expected to be launched by July 20, 2017. The expected price of Nokia 8 online in India is Rs. 33,990. Nokia was one of the world’s biggest mobile phone manufacturers but it fell behind with the influx of iPhone and Android smartphones. In 2014, Nokia’s devices and services department was sold to Microsoft. In 2016, Finnish company HMD Global came into the picture and bought a part of Microsoft’s feature phone business and has a licensing agreement that allows it to make smartphones under the Nokia brand. And after a year they launched “Nokia 8”. This phone is rumoured to come with a 5.70-inch touchscreen display with a resolution of 1440 x 2560 pixels. Nokia 8 packs 64GB of internal storage that can be expanded up to 256GB via a microSD card also it packs a 24-megapixel primary camera on the rear and a 12-megapixel front shooter. Nokia 8 is expected to run Android 7.0 and be powered by a 3999mAh non-removable battery. The phone tipped to be a single SIM (GSM) smartphone that will allow a Micro-SIM. The connectivity options in this phone are said to include- Wi-Fi, GPS, Bluetooth, USB OTG and 4G. Now coming to its sensors, they are expected to include Proximity sensor, Accelerometer, Ambient light sensor and Gyroscope. 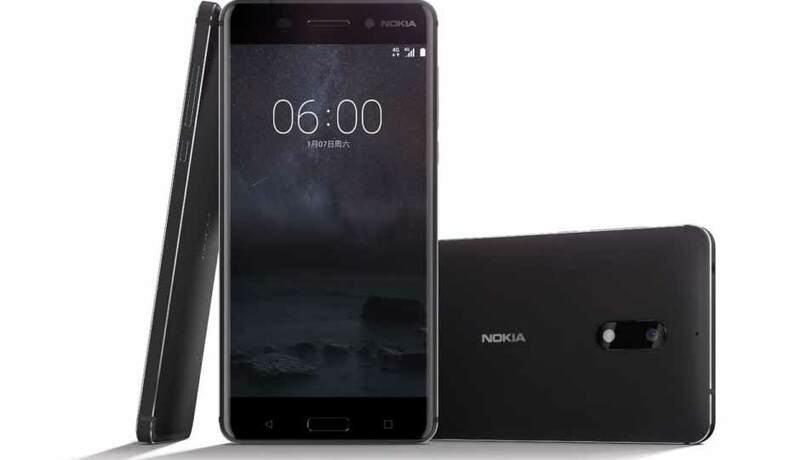 NextYour Complete Dose to Nokia 5 Smartphone is Here!